With a new season upon us, The GPG give genuine cause for reflection. Welcome back, Brentford fans. Football is almost upon us again and so the time has come to once more start looking at all things Bees related on these pages. Watford visit tomorrow for a friendly and then a week later proceedings kick off in anger (metaphorically speaking) when Rotherham come to Griffin Park. Championship action is back for a fifth successive season. Yet before all that, three things have happened in the last 24 hours that have caused yours truly to take stock and reflect (don’t worry – this isn’t going to be a heavy one). One involves QPR and the other two, our own supporter interaction. First up, the GPG. Love it or otherwise (and I’ve done both at times), few could deny the hot bed of passion, opinion and supporter interaction that this site is. Like Beesotted, a group that looks to link the fans to the club, canvass opinion and encourage debate. Even if I’m always right and they aren’t. Equally, and another thing they and Beesotted have in common, they are set ups that have contacts all the way to the top of the club. Previously Billy and Dave have had their own interview with Matthew Benham published on the Beesotted website. Last season, Trevor has had his own Q&A with our owner – led by supporters – appear on the GPG. One of the things that makes this club special is our owner and supporters access to him. Anyone disagree? There are many things that make this club special. The ongoing efforts to become involved in the local community. 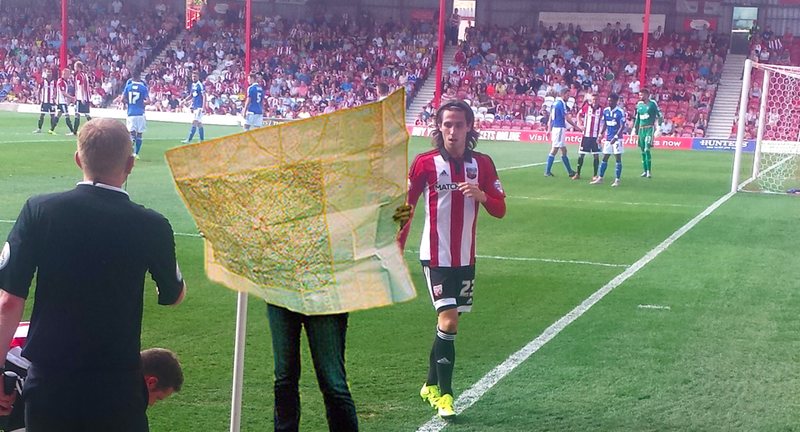 The proximity of players to the supporters – both inside Griffin Park aswell as in the streets around the ground. Nobody even blinks when they see one of the first XI en route to a game or the Chairman walking past the pub pre kick off. Likewise, Mr Benham – barring the nod of gratitude, acknowledgment of his presence or just general ’how’s it going‘ chat . But Matthew Benham is a class above. We all know how much money he has pumped into Brentford. Quite frankly, he has saved this club. We are now Championship regulars with a new home on the imminent horizon. We have a new structure and a B-team that is fast tracking players into the first XI. We pick up players for (relative) peanuts; we sell them for amounts that are beyond the dreams of avarice. This isn’t meant as a Benham love-in. More to acknowledge how lucky we are to have a smart owner who has been a fan for close to forty years. A man who is running this club within sustainable means and who, whilst not one for the public eye, still takes time out to interact with fans (those twitter videos or the aforementioned interviews). So when I saw the GPG post I had to agree. Hear, hear. Well said. There is so much going right at Brentford and it all stems from one man and his vision. His approachability. This may not always be immediately clear to those of us who are sat outside, looking in. Last year’s summer transfer window and the Birmingham City triple transfer was proof of that. Even then, the pay back in February was just exquisite. Likewise, the understandable interest in Midgetland – not one shared by the majority of us on the terraces where support of a second club is a largely alien concept. Thankfully, that is something which has really been dialled back. The half time ‘lap of honour’ in the Walsall FA Cup debacle the nail in that coffin. The point of all this? We’ve a fifth season in the Championship approaching. Rotherham are just over a week away and their visit heralds the start of our latest attempt to get us into the Premier League. Brentford, in the Premier League. To those of longer in the tooth it seems an alien concept yet one can only acknowledge that the vision of one man has put us in this position. We are now here by right. No longer plucky under dogs punching above our weight or against the odds. We are here on merit. Who cares if the wider football community still miss this. And this season, I really think that next step will happen. This is the season that Brentford hit the top six but push on. The season that Brentford finally break that play-off hoodoo. I’d love to hear where Smartodds think we’ll finish. I’d love to hear where Matthew thinks we’ll finish. With Thorne In The Side seemingly on a self-imposed hiatus for now, I’m guessing it is the turn of BIAS for this season’s big Benham interview. I can’t wait to read this one and see what he thinks will happen. Failing that, how about the Fans’ Forum this September….? Either way, we’re incredibly lucky to have an owner who cares this much. Who, whilst infrequently, will take the time to interact with the fans in print. Contrast our owner with the way QPR down the road are run. This afternoon it has been reported that they have agreed a settlement of almost £42m with the EFL after previously breaching FFP rules back in 2013/14. If I recall correctly, clubs were allowed losses of up to £8million that season. QPR ran up a deficit of £9.8million aswell as then seeing owner Tony Fernandes and other shareholders write off an additional £60million loan, deeming it an ‘exceptional item’. As you do. At the time Fernandes denounced how unfair this all was. His team had been a Premier League club but after employing the likes of Neil Warnock and Harry Redknapp (not for the first time) were relegated (not for the first time). Yet despite the rules in place they chose to breach them to suit their own situation. Ah, diddums. If only we could all take the ‘its not fair’ defence. If only we could conveniently forget the parachute payments that already put clubs coming down into the Championship a huge advantage over the rest. 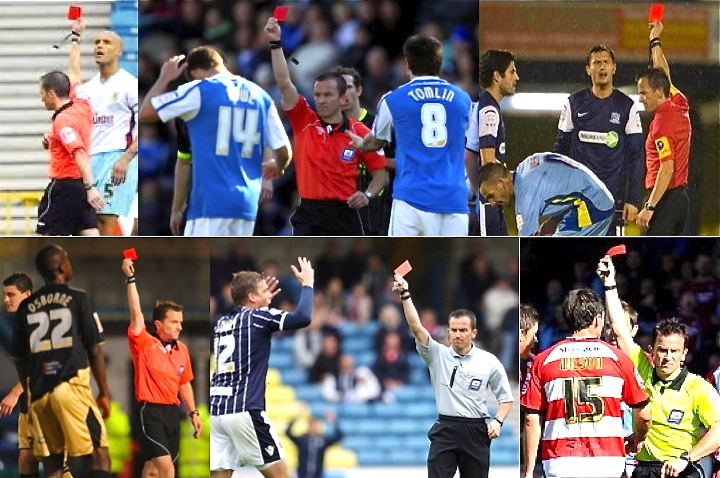 Welcome to the real world of football. Under Matthew’s stewardship Brentford have been trying to compete within the rules against the likes of over spending QPR and Bournemouth. Of Leeds and Aston Villa. We’ve had to watch for year on year as our best players are sold to balance the books. The likes of Moses Odubajo, Scott Hogan, Andre Gray, Jota, Maxime Colin, number 26 and Stuart Dallas. How nice would it have been just to spend beyond our means and then moan about the rules. But no, Matthew is all about doing this right and now that chicken has finally come home to roost at Loftus Road. Good. I’d love to hear what he has to say about that, although I’d imagine he’s too well-mannered to offer anything more than a diplomatic silence. And finally, the other piece of supporter interaction outside of Twitter/The GPG. I’ve this morning sent the summer’s sale proceeds from the Last Word season review e-book to the Brentford FC Community Sports Trust. Downloads on that front have now dried to a trickle and so it seemed a timely juncture. Moreso with the new season approaching. HUGE thanks to all of those who downloaded a copy. Apologies for even mentioning this (as I’m not one to overly blow the trumpet of charitable good deeds) but given the fact that people have once more been prepared to spend good money on this nonsense, the least I can do is a public acknowledgment of how fantastic our supporters are. It’s still up there if anybody else wants one. Any further funds received will still go to the BFC CST. For now though, that horse has been well and truly flogged and so that’s me done. So it was all change at Brentford yesterday. Kind of. With Burton Albion the visitors this Saturday, and the hope that we’ll start to bounce back lying heavy in the air following a dismal run that has most recently seen the 5-0 thrashing at Norwich, it was press conference day. Top of the agenda was surely the arrival of Danish coach Thomas Frank in the role as a co-assistant head coach to Dean Smith, alongside Richard O’Kelly. How his addition helps the Bees will only be seen over time but Dean clearly sees it as a good decision. A post match meeting with the owner this week has revealed the admission that : “I was with Matthew Benham on Monday and he is very positive about us moving forward, as are the Directors of Football”. Three days later, this is announced. Presumably, though, something that has been some time in the planning, given Thomas was chosen by a panel led by Dean but which included several others including our co-directors of football . As ever, the whole thing is on ‘official’. Having previously had the managerial hot seat at Brøndby, Thomas left in March after Danish newspapers discovered that the club’s chairman Jan Bech Andersen had adopted a false name and gone onto an internet fans forum to criticise him. Specifically, Frank’s management of the club. Regardless of the fact that I can’t imagine a scenario where the host of our own fan forum pulls off a rubber mask, Scooby Doo style, to reveal he’s actually Cliff Crown or even Mr Benham (if for no other reason then there isn’t a cache of Confederate gold hidden under Griffin Park) this can only be a win-win for the Bees. Let the Danes shoot themselves in the foot. Their loss is our gain if the press conference is to be believed, with the key strength Thomas bringing being his ’skill set’ . The other arrival was that of our new ‘app’ for iPhone and the other one (Sorry, can’t mention it by name – hate the format. Awful, awful devices). Having had a look around on this already, I have to say it’s great. A very impressive product and all that better that it’ll cost you absolutely nothing . If only the main club website was this intuitive, clean and easy to use (although, equally, we aren’t alone in suffering the contractual obligation of the current template). You can get it now and, in a day for plugging ‘official’, you can find the links to the app there. Here’s hoping to see how it holds up in a live game environment on Saturday agasint Burton Albion. Then again, one could say the same about the team. I’m sure we’ll all be just fine. Here’s to three points. With no game for Brentford this weekend thanks to the Leeds United fixture being brought forward, perhaps it’s time for some reflection No, please. Stay with me. I’ve used this page to voice some quite strong feelings on several subjects in the last few weeks. The strength of the team relative to last season. The situation surrounding James Tarkowski (especially in the immediate aftermath of the Burnley game, prior to his own comments that subsequently seemed to contradict those of the club). The general vibe around the club when it comes to off-field matters. The ongoing promotion of FCM through club channels although, to be fair, the half-time parade v Walsall still annoys me an awful lot more than a chance to visit Old Trafford. Indeed, responses to yesterday’s piece on that topic were, genuinely, very interesting. And mixed. After over 700 columns here, along with five years of writing in the programme (an ongoing hobby which is great that the club can facilitate and are happy to use), I’d like to think I’m generally ‘pro-Bees’. I’m not scared to say what I think and if the opinions of one fan can sometimes upset people then I do sympathise. But it won’t stop me. Certainly, one recent column seems to have sent part of the GPG into meltdown (I know, I was surprised too). I’ve got no issue with this, quite the opposite. Fellow supporters like myself have every right to voice their own opinions – preferably backed up with a counter suggestion rather than simple name calling but, I guess, we’ve all got different styles. Yesterday’s social media attack from somebody employed by the club was, I felt, a little bit unprofessional. And needless. “..mine (opinion) is that you moan too much about everything and miss the bigger picture’. There were more, but you get that particular picture. All for having the temerity to sometimes voice an opinion that he and his employer might disagree with. Which brings me full circle back to the point about ‘off-field vibe’. Nobody’s opinion is any more / less valid than anybody else’s. But cheap cracks and school yard insults in a public environment show just how wrong we continue to get it. Social Media, rather than an official club forum, isn’t a ‘get out clause’ when people are so easily identifiable with the team we all support – and advertise their role on the same platform. Good comms are so easy. Give it a try, you might enjoy it. Which, in a very longwinded way, brings me around to the main thrust of today’s article. I put it out on Twitter last night, ‘What to write about today?’ and the following suggestion, from Matthew Miles, was the first response. Nice idea, which I’m going to put a slight spin on. Three things to look forward to. Of course, mine may very from yours, but in no particular order…. Firstly, as Matthew says, a rosey future awaits. Whatever my thoughts on the strength of the team relative to last campaign and our recent form (4 wins in the last 13 games), nobody can deny we remain 10th in the Championship table. That’s still a fantastic achievement if we can consolidate it. The likes of Yoann Barbet and Maxime Colin are really looking like stars of the present, let alone the future, and are the absolute standouts from the huge influx of new players – not all of whom have hit the ground running quite so easily, if we’re being honest. If, and it is a huge if, we can hang on to the likes of Alan Judge, David Button and the entire defence (not to mention a certain Mr Saunders – don’t got to the States, terrible weather) then this team has a great base to start from next season. Next up, and linked to that subject, Alan Judge. With just a few days to go until the transfer window officially ‘slams shut’ is there a chance we could actually keep him? Whilst the rumours have been circulating for weeks, all has now gone quiet on that front. Not even the ever-reliable Beesotted (the best font of knowledge before things become ‘official’) are talking up a potential departure. Of course, now is the squeakiest point of ‘squeaky bum’ time but the psychological impact of hanging onto a player of this nature who still has time on his contract can’t be underestimated. Finally, Kitman Bob Oteng ! I’m loving his Twitter activity – and if you don’t follow him you should. Fast. For all I’ve complained we don’t always hit the mark ‘off field’, this is one area where Brentford most definitely lead the pack and brush all competitors to one side. His regular player kit ‘giveaways’, for getting the correct scorer, number of corners or something more fiendish are fast becoming the stuff of legend. Just yesterday, one lucky fan picked up Alan Judge’s boots and Jota’s shirt. And next Friday, against Brighton, it looks like we have something very interesting lined up. When our club get it right (and I still have a son who worships Buzz Bee after the fantastic ‘Junior Bees’ Christmas event) it makes me so proud to support them. Here’s to an ongoing and rosey future. 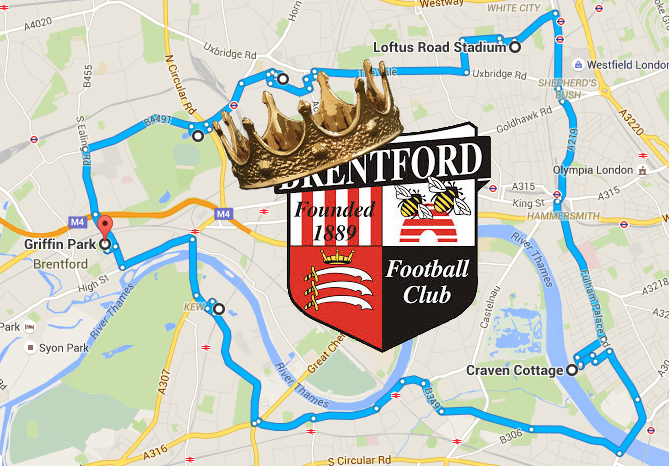 Can Brentford take bragging rights, and 3 points, from QPR? That was the question posed in Friday morning’s column and the answer was very much a resounding, ‘YES’!!! A 1-0 win, via the boot of Marco Djuricin, sent the Bees fans home ecstatic and the Rangers’ support skulking back to Loftus Road with their tails between their legs – all the pre-match bluster very much coming to nothing. 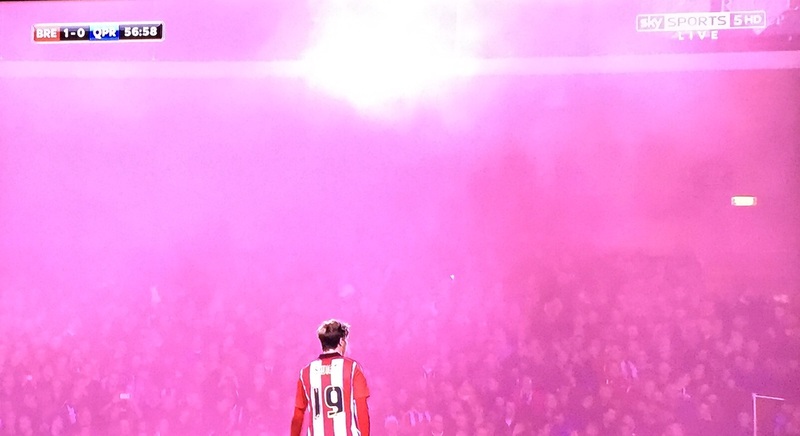 In front of a full house and the Sky TV cameras, Brentford were magnificent. As a game, it hadn’t promised to be much of a spectacle (we had only scored three goals and earned two points from our previous six league encounters) but when it really counted, in a Championship encounter, QPR just couldn’t match the Bees. And didn’t it feel great? Lee Carsley’s fourth win in a row (for a man who doesn’t want a long term managerial role, he’s doing a very good job of putting himself in an untenable position) propelled Brentford up to 10th in the table, overtaking both QPR and Fulham. The days of Marinus seem a long way away already and our interim head coach could even be talking himself into a position for the manager of the month ‘poison chalice’. With our games completed for October, the Bees remain the form side with 12 points and four wins from the month. Only Brighton, Hull and Derby come close to catching that although, of course, the rest of the Championship have a game in hand. In terms of emulating what happened when Warbs took over from Uwe, he’s not doing too bad a job. Oh for a repeat of that (although preferably without any mention of football being a village). Still, all of this is a long way off. Back to the game which, being honest, produced a somewhat staid first half. Very much a cautious affair, it was waiting to explode into life but didn’t quite fire. Massimo Luongo (an alleged one time target for the Bees – back in those pre-season days of Bees bosses being poised to make double swoops, so beloved of our local journalists) hit the stanchion and the inside of the post late on in the opening 45 for the visitors. That was about as worried as we got all game. Frankly, Rangers were a shadow of their reputation and past Premier League status. They offered little and this was a game waiting for them to be opened up. Like breaking into a can of corned beef, a tricky task but the reward was one so worth the effort. But if the first period had been quiet, the second was anything but. Clearly Lee could smell blood in the water because the Bees came out at 100 miles an hour. Marco Djuricin produced a great stop from one time England goalkeeper Rob Green before John Swift fired the resulting clearance just over. Alan Judge, set free by Toumani (GPG man of the match by a country mile), went down in the box when, perhaps, better opportunity awaited had he been able to stay on his feet. Referee Simon Hooper called “no foul” but it hardly mattered. Seconds later came the moment. That man Judge, yet again, was the provider. Cutting down the left flank he played a fast, low cross into the box that Djuricin did wonderfully to fire past the helpless Green. It really was a goal about technique and positioning as the Austrian got himself in front of the defender to meet the perfect delivery. And didn’t Bees fans go crazy?! Only Toumani getting on the end of it could have made the moment any sweeter. Even now, having slept on it, I’ve still got a goofy smile on my face at the thought of that hitting the back of the net. The noise, the excitement, the goal. Hey, even the flare (kids, don’t do them) added a certain ambience on this occasion. It doesn’t get much better than this. If last season saw us become the much lambasted #Novemberkings, could we see a new hashtag appearing on Saturday? Not even I’d be so churlish as to deny us that – even just for one day. The only down side was Alan Judge heading straight down the tunnel after being substituted. Hopefully this was nothing more than a precaution for a player fast becoming one of the Championship’s hottest properties. Whilst it was great to be part of the action at Griffin Park, it did mean we were unable to follow ‘our friends at radio’. I have no doubt the Beesplayer team have produced another ‘Burridgegasm’ for Marco’s goal. Roll on the video highlights. Likewise, we were denied a chance to hear Billy Reeves. The sometime Beesplayer host was doing his thing on BBC Radio London where I do wonder if his oft quoted ‘meridian line’ put in a real life appearance. Judging by the two-minute gap between the scoreboards at each end of Griffin Park, we were clearly playing in opposing time zones. Still, this is all minutiae. 1-0 to the Bees is the only thing that counts this morning. We’re up to tenth in the table and, as it stands, just four points away from the promotion spots. That challenge is all to come though. For now, it’s just about enjoying the moment and the fact that we are the best team in this corner of West London. 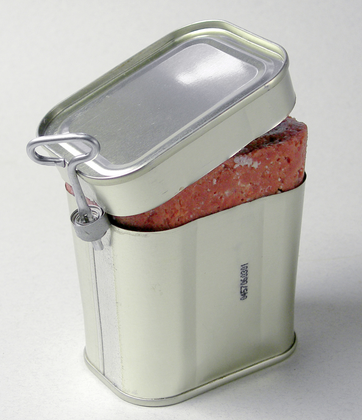 Is this our toughest challenge yet? As next challenges go, Brentford aren’t going to have it much harder than a trip to Derby County on Saturday. With the Rams finally hitting form after picking up four points from their first five games, three wins and a draw have seen them climb up the table to within a point of third place. It is more reminiscent of the form that saw them reach the play off final before being mugged by QPR and then doing everything to get there last season – certainly until they hit the self-destruct button in that final home game of the season against Reading. Oh to have those sort of ‘problems’ now. Whilst Brentford, of course, went one better than Derby and actually reached the semi-finals for the annual choke off at the W place, it would be fair to say that we are yet to recapture the sort of form that saw Mark Warburton fall just a few games short of taking us into the Premier League and give us one of the most exciting seasons since records began. That was then. This is now. Whilst the season is by no means a write off, there is still a huge cloud of confusion over just what is happening at Griffin Park. The GPG is currently busier than Keith Stroud with card in each hand as Bees fanatics attempt to process / fathom everything from this week. Namely, head coach Marinus Dijkhuizen being dismissed just eight league games into our new ‘stat based’ regime, and then being replaced by Lee Carsley who has since gone on record as saying, “I did not ask to be a football manager and it certainly wasn’t something I put my hand up for. I don’t want the job permanently,” and… “”I’ve never had that burning ambition to be a manager. I want to be a coach and bring on the young players”. This, on top of a curious brand of football that has seen us dominating possession – namely by passing the ball sideways and backwards through the final third – but when we choose to go forward then having all the cutting edge of an arthritic pensioner armed with a pair of children’s plastic safety scissors. Injuries haven’t helped of course, but are they entirely to blame? The anti-performance on Tuesday night against Birmingham City was soul destroying. Here was the perfect chance to show a bit of bouncebackability. Instead, we put in a lethargic effort that was an insult to the word effort. But if Tuesday was tough, Derby on Saturday is going to be all the harder. Being quite honest, Birmingham weren’t actually that good. Something which makes our 2-0 defeat all the more bitter a pill to swallow. County, on the other hand, are at home and on form. Don’t get me wrong, I’d LOVE to be proven wrong and I’m desperate to see our boys start to climb the table. We can’t expect to win every game and this isn’t a case of unreasonable expectation based on the last few seasons. Frankly, I’m still amazed by how far we’ve come in the last five years whilst the last campaign set a stunningly high bar. That said, with the players and set up we have, is it too much to ask for a bit of passion? At the moment I’d settle for a fit squad that just try to find the way to goal. Does anybody know the way to goal ? The Beesotted crew have got it bang on the money in their latest article. If you haven’t seen this yet, then do take a look. They’ve hit the nail right on the head with this one – quite possibly the blog column of the year. Besides, it could be worse. Following his dismissal from Newport County, Terry Butcher has now joined Steve Evans on the search for a new managerial role.